let's start MV's Year of the Painter 2 with a finished miniature, shall we? 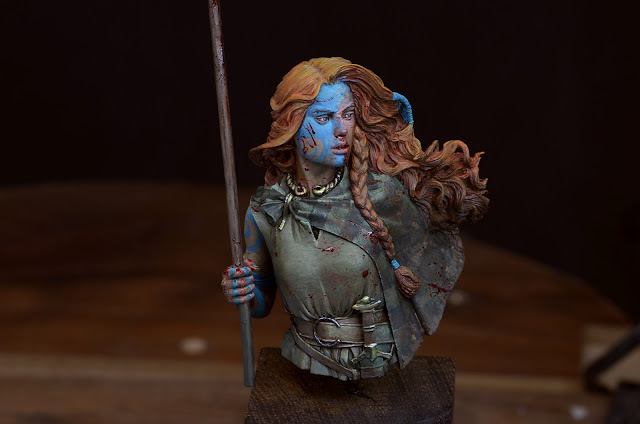 I have painted Boudicca from Origen Art. It is a great sculpt in scale 1:9. A powerful and emotional sculpt by Pedro Fernandez Ramos. To understand what I did with my version of this bust I have to tell you some stories. True stories. First of all: Do you all know who Boudica was? No? Back in those ancient days when the Roman Empire conquered and enslaved most of the common known world, they did meet with the Tribe of the Iceni in Britannia. The Iceni were allies to Rome and their chieftain "Prasutagus" was known for keeping his word to the Emperor. Boudica was his wife, they had daughters, no son. So it was Prasutagus who declared that after his death the lands and tribes of the Iceni will be lead by his daughters, all in alliance to Rome and the Emporer. He died. His will was ignored, Boudica got flogged and her daughters raped. This was indeed no fair behaviour of the Roman occupying forces and Boudica promised revenge. She became the queen of revolt. Revolting against Rome. Bad idea many historians say, but well, if nobody stands his ground the world will end. Whatever if it is in ancient days or nowadays. 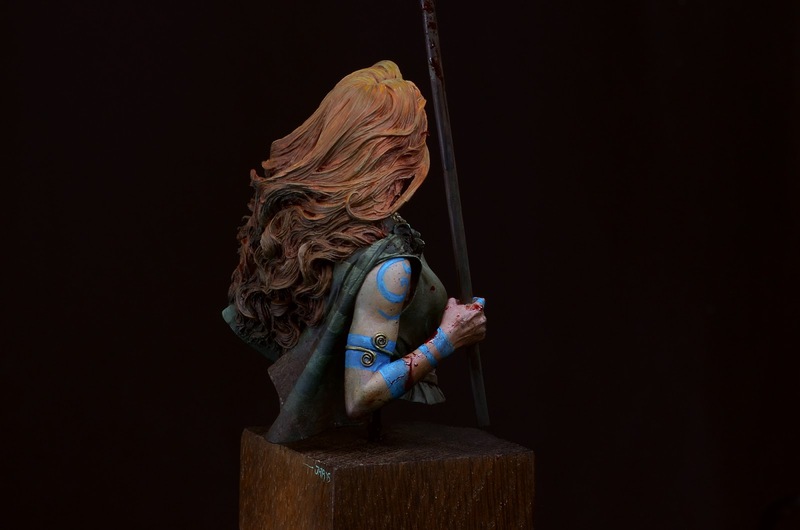 Boudica gathered several tribes around her banner and had an immense force to control, which is not easy if the tribes are usually fighting eachother for glory, sheep and land. She and her force destroyed several cities and settlements of the Romans and spirit was high. They won a battle against a complete roman legion and many say that an estimated number of 70,000–80,000 Romans and British were killed in the three cities by those led by Boudica. The Battle of Watling Street took place in Roman-occupied Britain in AD 60 or 61 between an alliance of indigenous British peoples led by Boudica and a Roman army led by Gaius Suetonius Paulinus. Although heavily outnumbered, the Romans decisively defeated the allied tribes, inflicting heavy losses on them. The battle marked the end of resistance to Roman rule in Britain in the southern half of the island, a period that lasted until 410 AD. 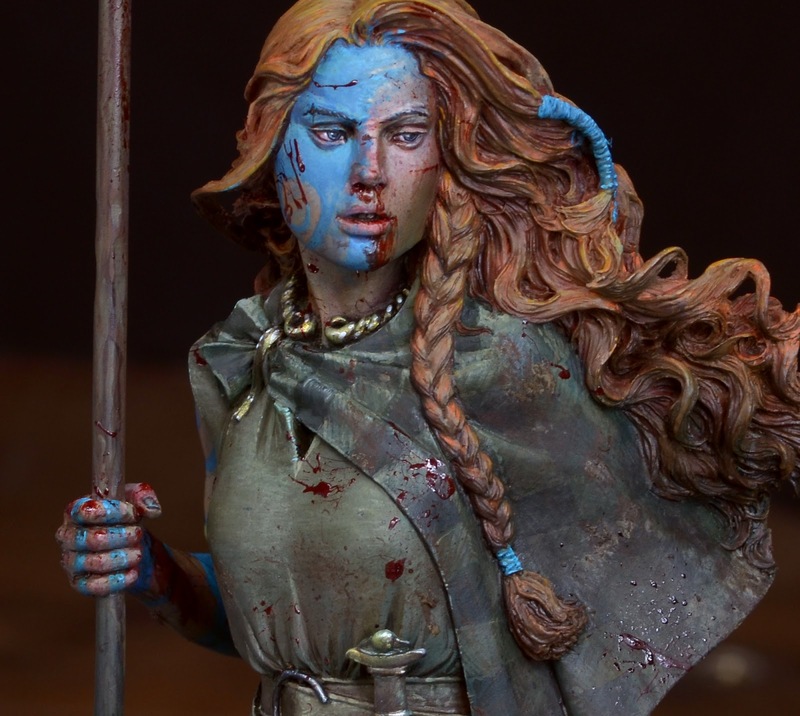 Boudica then either killed herself, so she would not be captured, or fell ill and died. The extant sources, Tacitus and Cassius Dio, differ. for the Iceni Tribe. The tribe who were famous for their wartribe were the Picts, who lived in northern Scotland. In latin "Picti" meaning "the painted ones". Thanks to Christian for setting historical facts right in a nice chat. I will ask you for future projects, maybe. I know I should, but when I am painting something up I mostly never find time away from the brush. If I am away from the brush I sleep. It's always a little difficult for me to paint something very emotional from my personal perspective and combine it with historical correctness. When I paint I try to paint without limitations. The results sometimes can be what they are ... but thanks, many thanks. As some of you might know I am very into the theme of ancient Rome. Of course I am well familar with the name of Boudica and her history. I am not a professional historian - by far not - but I call myself informed. 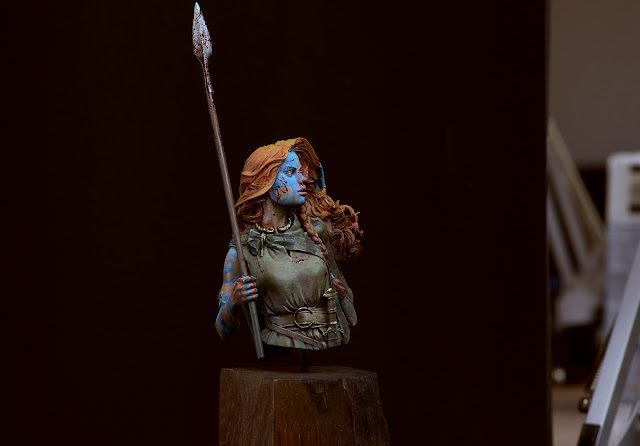 When I imagined the Iceni queen I never thought of her as such a beauty Pedro Fernandez sculpted. I imagined her as a powerful woman with the lookalike to beat up barbarian warriors. An ogre of a girl you can say. I love the sculpt of Pedro for his company Origen Art. I love the promotianal paintjob Pepa Saveedra did on her. ... but for my taste I wanted to catch a moment. This moment. The moment she saw the battle against the outnumbered forces of Rome go to hell. Her army remains running or being slaughtered. All hope gone from her eyes, a dream dying and many bodies on the ground. I wanted to see her inside a battle, beaten up, tired, but still with a will to fight like a tigres, but with sadness in her eyes. A strong contrast to Pepa's version. 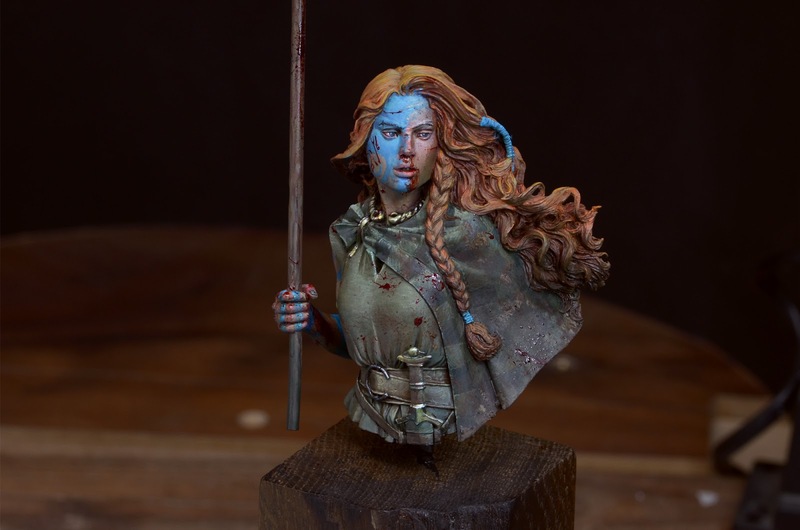 I wanted to paint her as a powerful redheaded queen, with freeckles and blue warpaint. I had to study the one or the other to achieve my version. I will talk about that all in an extra step by step about the work that I did on her via MV's year of the painter 2. Even the plinth is unique on this piece. I want to thank Michael aka Dellolyn for this great gift. The plinth was made out of wood from an ancient Roman bridge in Trier, Germany. I hope you like my version of this wonderful sculpt of the Iceni queen, Boudica. If you want to see more photos of her please check my Putty&Paint Gallery. 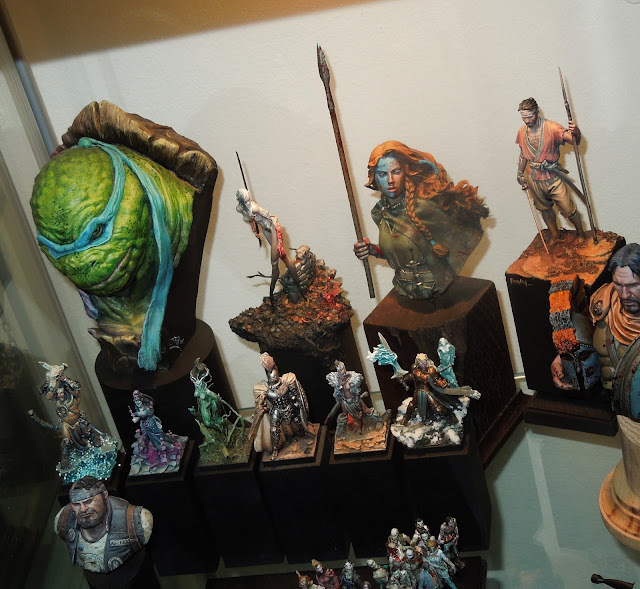 For size comparision I made a photo of my cabinet in the MV's studio showing Boudica beside other models. Please be aware that the photo was done with lightning from the camera and that the light situation looks a little weird due the yellow lamp of the Ikea cabinet. Let me know what you think and prepare yourself for an upcoming step by step on her! Delightful! 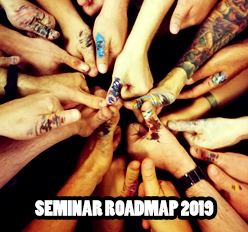 What a kick off for the 2nd year of the painter! And a very impressive version of this model. Love the faded cloth and the extra emotion you've been able to add to the sculpt! Tutorial Voting: 500 Zombies and lady again! Athenian Hoplite, Marathon 490 B. C.
Kong Fu: Crazy end of 2015!